One evening while walking with a friend to my abode, I had to cross the road to the other side. In the process of crossing, a child (a boy of about 8 years of age) walked past me with a bag of grocery on his right hand and a busy left hand as well. He held onto his stick of cigar. With astonishment written all over my face I asked my friend, Was that real? Did you see that? I have always known teenagers to indulge in the act of smoking but not children. I was dazed and sad at the same time. I became down in my spirit for the generation we are raising; they are fast becoming our “dark hope”. Kids who are supposed to grow to be useful to themselves and the society are becoming hostile and restless. How is the world supposed to become a better place if kids are robbed of their potentials due to smoking and its consequences? About 23% of children between 11 and 16 try to smoke and 4% of them actually smoke regularly. This might seem small a number but the truth is the number increases everyday. These children are exposed very early in life that it becomes an habit they are unable to or find difficult to stop. Many parents smoke without reflecting on the risk they expose their little ones to (NB: you do not have to sit them down and lecture them). Some kids who do not smoke become passive smokers which is becoming worse than smoking for children; they are open to respiratory diseases and cancer which is not fair on their part. I am very sure we have a knowledge of what smoking can do and I will not highlight them here. If you are not check here. Stop being selfish, when you want to smoke, stop and think! Ask yourself, what am I gaining from this? Happiness? How long does it last? Who am I affecting? 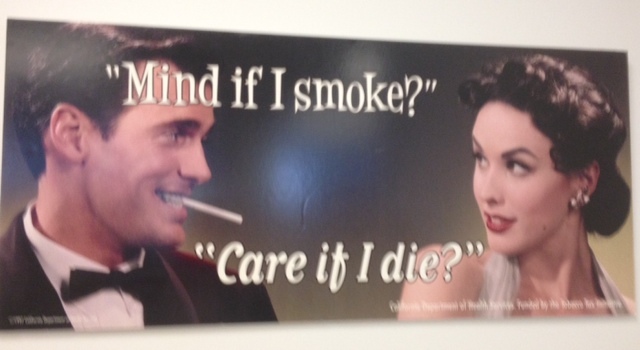 Do I want to die smoking? Even though you do not care about others show some concern for your offsprings. Children grow to become young adults and then adults. Likewise smoking children grow to become smoking adults and the cycle continues leaving a dark generation. All dark-heart! So many factors contribute to smoking but do not allow the short-term pleasure lead you to a long-term debt. Smokers are liable to die young so says the media but it seems not to be helping because it is still being manufactured and people seem not to be dying young. Do not be decieved, the repercussion is not immediate it is progressive. Therefore, take the bull by the horn today, if the production of cigas will not be stopped, the economy keeps rising, and down times keep surfacing, you decide to fight! Many desire to stop smoking but cannot help it that is why this has been written. Seek help from NHS and other smoke-free services, do not be ashamed, it is ok to want to quit. It makes you a strong and better parent and person, see how this woman stopped smoking for her son’s sake. Do not switch to shisha and e-cigarette, they are all the same. Please decide not to prolong the dark genealogy, decide to stop the cancer and smoking-related disease trail, decide to protect your lineage. Office for National Statistics (2013). Chapter 1 – Smoking (General Lifestyle Survey Overview – a report on the 2011 General Lifestyle Survey). ONS;London. National Health Services. (2012). I quit smoking for my son. Retrieved October 20, 2014, http://www.nhs.uk/Livewell/women1839/Pages/stopsmoking.aspx. National Services Scotland/Ipsos/National Statistics (2011). Scottish schools adolescent lifestyle and substance use survey (SALSUS) national report: Smoking, drinking and drug use among 13 and 15 year olds in Scotland in 2010. Jackson, C., & Henriksen, L. (1997). Do as I say: Parent smoking, antismoking socialization, and smoking onset among children. Addicitve Behavior, 22(1), 107-114. 'Nifesimi's blog 'Nifesimi Okeyide is an Environmental and Public Health Personnel who is passionate about God, music, health, the environment, and the public. She envisions educating the public about "the holistic approach" necessary to being and remaining in Health thereby reducing the occurrence of ill-health. She also desires to encourage others as God helps her. A lover of God who loves to worship . . . A lover of kids . . oh bless them kids . . . Blessed with a fun-filled soul . . . A minister of songs . . . Gifted in teaching. A change agent! Black Cup: Drink, Yes or No?